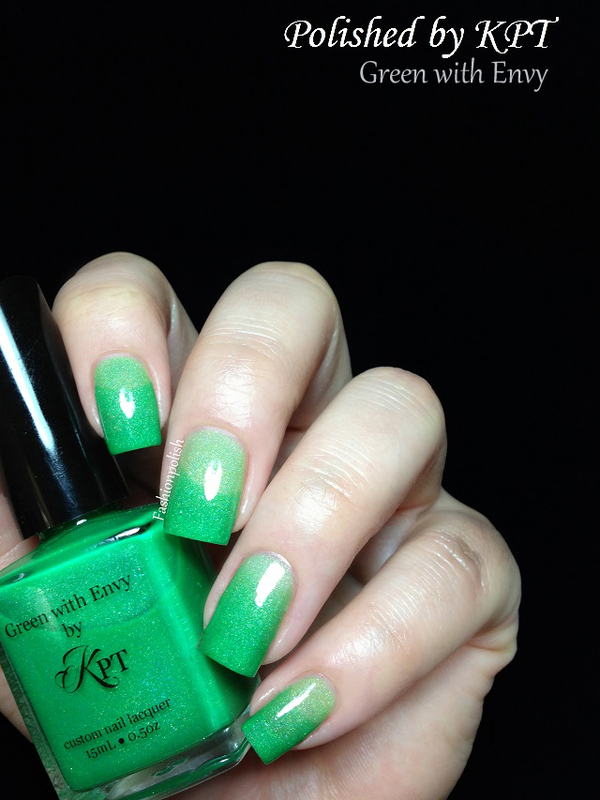 Fashion Polish: Polished by KPT thermals Review! 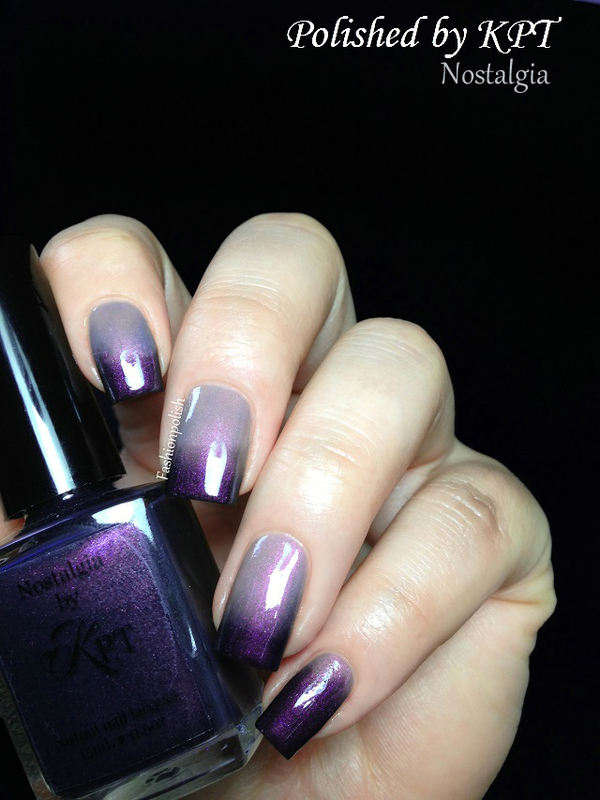 Polished by KPT thermals Review! I hope you love thermals because I have a whole bunch of them to show you today! 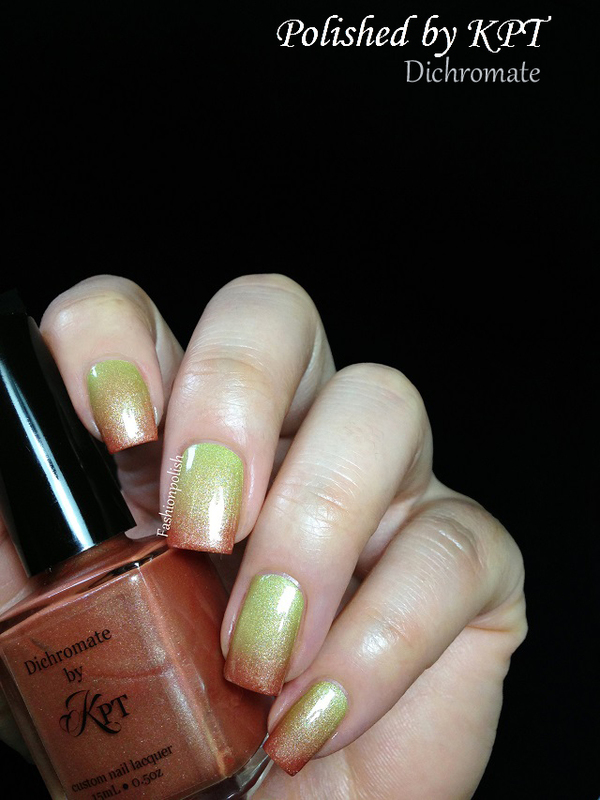 In case you're not familiar with thermal pigments, they basically allow your polish to change color depending on your body temperature : one color when warm and another when cold. 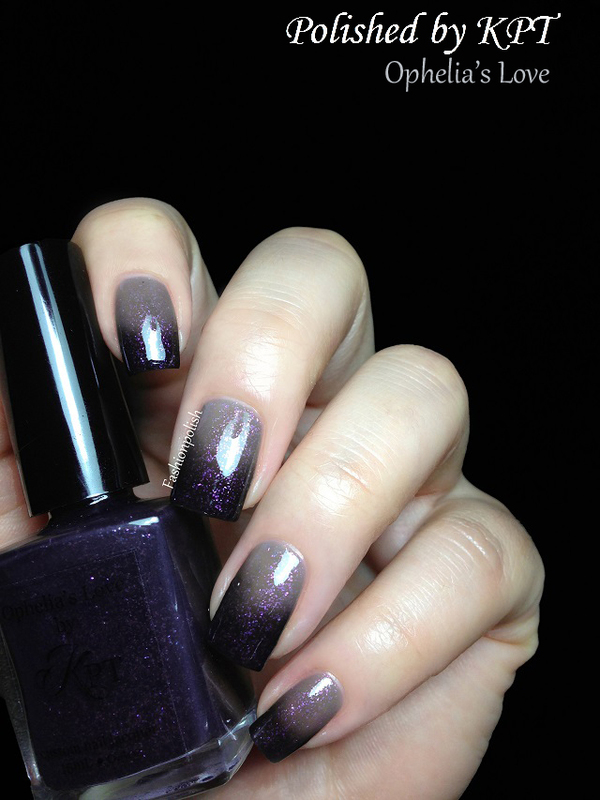 But it does get even better if you mix thermal pigments with glitters, shimmers or even holo! So today I have two different Polished by KPT collections : Transition Elements and The Required Love but also a few of their best selling shades. "Transition metals, which are elements found in the Earth’s crust, bring rich colors to the natural world such as mesmerizing minerals as an example. Inspired by the diverse colors of transition metals"
The Transition Elements is a set of four heavy shimmers with a strong two-toned thermal effect. Formula was seriously perfect on all of them. I didn't really know what to expect but they all proved to be easy to work with and not thick at all. 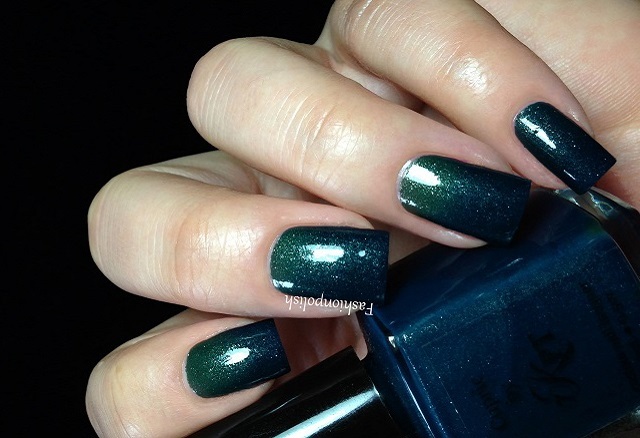 I used two thin coats plus topcoat in all of the swatches below. "My mom's all time favorite color is purple. She loves everything purple and so does my older sister. I've always wanted to make a purple nail polish dedicated to my mom too bad she does not like this dark purple, but I'm sure my customers will...right?" The Required Love is a set of two blackened purple fading thermals : dark when cold, they become almost clear when warm, apart from their duochrome pink/purple to green shimmer. Application was also super easy on both of these and they looked perfect after two thin coats. And finally the best-selling shades! Oh and I wore Ophelis's love for days straight last weeks with no chips whatsoever and very minimum tipwear! How cool is that? Make sure to follow Polished by KPT on Facebook and/or Instagram to be informed on restocks. I'm not super in love with most thermal polishes I see but these are beautiful! I love these, especially Dichromate. Oh my gosh I love them all but WOW - Ophelia's Love!! I definitely need some of these - wonderful swatches as always! I've never tried a thermal polish but I really like the idea. These are simply stunning! I LOVE these so much! I've been stalking Eclecticco for weeks waiting for a restock... just so darn pretty! You have the most beautiful swatches! I need Ophelia's Love! they look amazingly beautifull! I can't pic one, I love them all. 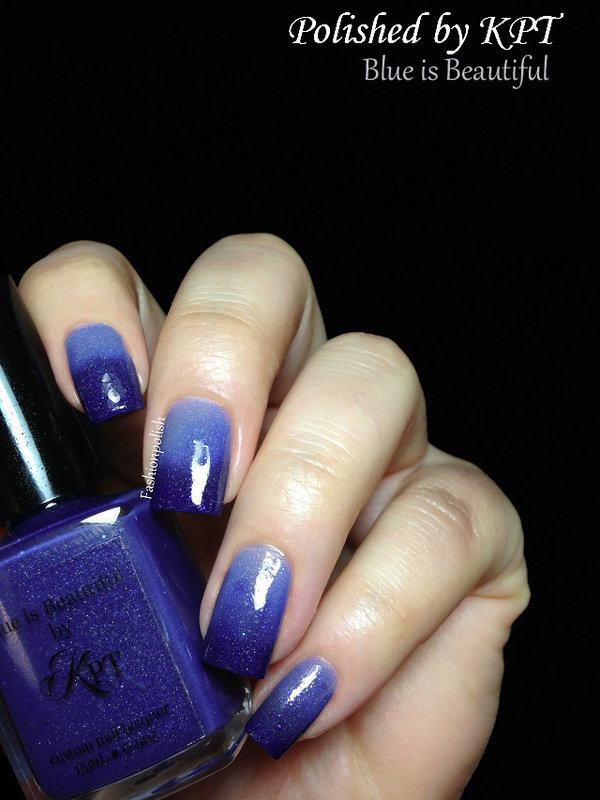 Ces gradients sont tous plus beaux les uns que les autres ! Oh, so cool! Amazing how many different types of nail polish we have these days. So thermal's effect is naturally darker on the tips? I'd pick Ophelia's love and Blue is Beautiful. Btw, the swatches and photos are beautiful. 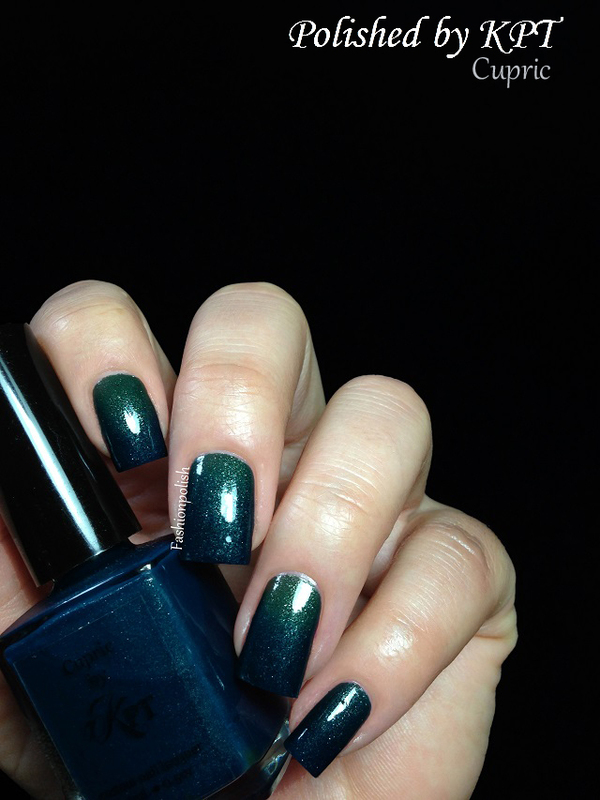 I had no idea such polishes existed, these are amazing. Like wow love each one of them.